Marriage licenses issued by this office are valid for one year from the date of issue, and they are valid in the State of Wyoming only. Applications must be signed by the parties and witnessed by a deputy clerk. Applicants must be at least 18 years of age to obtain a marriage license without parental consent. Applicants under the age of 16 are prohibited from obtaining a license except by court order. If you wish to have a circuit court judge or magistrate perform your civil ceremony, contact the Circuit Court at 307 633-4298 to get information on fees and appointments. 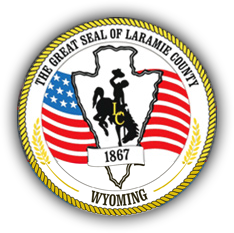 Birth and death certificates are recorded at the state level by Vital Statistics Services of the Wyoming Department of Health. Call Vital Statistics Services at (307) 777-7591 or visit the website at https://health.wyo.gov/admin/vitalstatistics/. Handwritten marriage indexes prior to 1985 are available here. These indexes are scanned images of the large index books. Identify the 'book and page' of the index entry you need and contact our office to obtain a copy of the actual document.